By Activa. High quality plaster gauze. 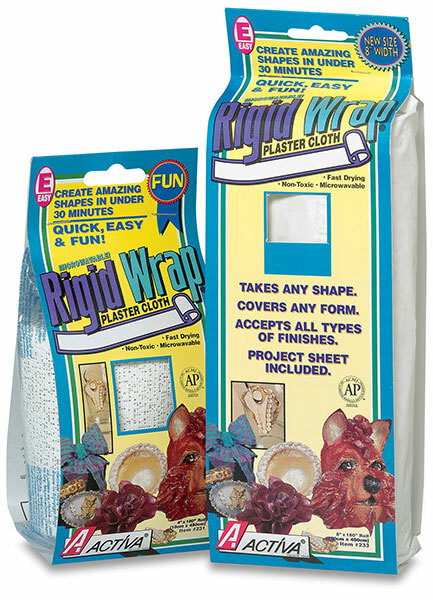 Use in sculpture, mask making, jewelry, craft projects, and more. Even texture allows for fine detail and smooth work. Just wet it, shape it, and dry it. May be microwaved, oven, or air dried. Accepts all finishes. This single-project sized package contains one roll, 8" wide × 5 yards long (20 cm × 4.6 m).